At first glance, CES® 2016 looks a lot like CES 2015. Approximately 3,600 exhibitors will announce approximately 20,000 new products. And while CES 2016 is set to be the largest, most diverse yet, there aren’t too many (if any) groundbreaking, game-changing or revolutionary (choose your hyperbole) new products. TVs are a little bigger, a little thinner, a little less or a little more curved, and have slightly better screens, slightly better dynamic range, and slightly better color gamuts. Everything on display has a slightly faster processor, a little more storage, slightly better battery life, a new app, some cloud computing component, and is somehow related to IoT, is smart (in some way), offers slightly better connectivity, etc. “New and improved” features do not generate big headlines, so if your innovation metric is new product announcements (defined as products you’ve never seen before), CES 2016 might look like a gathering of iterators, as opposed to innovators. But this is not the case! The kind of iteration on display at CES 2016 requires an incredible amount of innovation. Each slightly improved feature, each price reduction, each simplification of user experience, each incremental improvement brings us one step closer to a more creative, more productive and more prosperous world. Smartphones are the number one device for 92 percent of millennials — they are more likely to have a smartphone than a PC. Over two-thirds of all digital media time is now spent on mobile devices with a staggering 90 percent of that time being in just a few applications. comScore says we use about 50 percent of our mobile time on a single, favorite app (mostly social media). Meanwhile, time spent on mobile browsers declined by half. Handheld mobile devices have become our fastest-growing entertainment centers, with blistering usage growth of 240 percent in video and gaming content. Mobile devices are now getting as much of our time as television! (Flurry). And Google says mobile searches (which exceed 100 billion per month) have surpassed now desktop searches (Cynopsis). The trend is clear; communication is becoming more mobile every day. T-Mobile is boosting video consumption, offering free online video bingeing (“Binge On”) from 24 powerful content providers including Netflix, Hulu, SlingTV, WatchESPN, Crackle, and the like. It’s no wonder that your smartphone battery is always dying: In 2015, the average US consumer spent three hours and 40 minutes per day on mobile, a 35 percent increase over 2014. Video viewers are continuing their migration to time-shifted and on-demand services. The numbers paint a very clear picture — only sports and some live events remain “appointment TV.” Viewers are watching more video than ever, but less and less traditional television. Semi-autonomous vehicles are an emerging consumer tech category. The automotive industry’s strategy to use driver-assistance to facilitate man/machine partnerships is sure to work. As we become more comfortable and reliant on adaptive cruise control, lane assist, autonomous parking and other safety features, we will become acclimated to the idea that cars can do most or all of the work. Man/Machine partnerships are a big trend in CE, and nowhere is it more evident than with the automotive industry. VR and AR — Very Virtual, Not a Reality! VR (virtual reality) and AR (augmented reality) are going to be huge. Everyone says so … but just because you say it doesn’t make it true. It’s early in the game for consumer VR and AR. 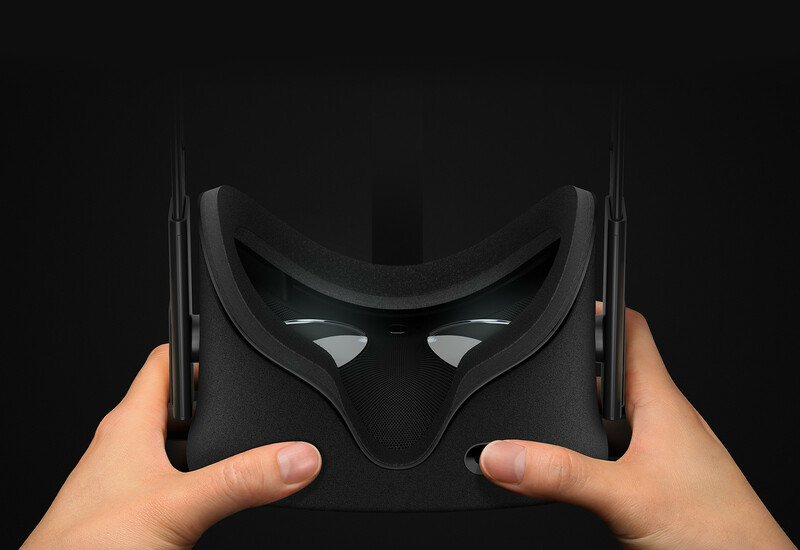 We’ll see new display technology, new production tools, new headsets, new creative ideas, but VR is the 3D of 2016. It will eventually find its place, but it’s a technology that requires consumers to change their viewing behaviors, directors to find new ways to direct, writers to evolve new narrative techniques, and production crews to work in completely new ways. VR also requires a completely new post-production ecosystem to evolve. VR is super exciting, but it’s not a trend. Of the two, AR is the technology to watch. It is easy to predict several brand new, billion-dollar businesses based on AR. Unlike VR, AR does not ask for radical changes in consumer behavior or production techniques. It requires network connections and cloud computing tools (which advance on a predictable curve) to get to a specific level, but then consumers will be empowered to see the world in ways they’ve never seen it before. AR is not a trend either, but it is a technology we’re taking very seriously. Wearables are still growing fast, but they are also still trying to find their market. Fitness trackers are the dominant force, but smart watches, especially in the fashion category, will be testing the water (although most are not waterproof). Smart clothing is doing everything it can to start a fashion trend, but smart track suits are not getting much traction. This year, some of the biggest news in wearables will come from the medical community as insurers push to improve healthcare outcomes with sensors and associated apps. Inconspicuous innovation is everywhere. Smart home, connected devices and IoT, mobile payments, drones, 3D printing, the downfall of desktops and tablets, and the surprising resurgence of the music business are all topics and trends we’ll cover in our upcoming 2016 CE Trend Report and on our CES® 2016 ShellyPalmer Floor Tours. See you in Las Vegas in January. Which Streaming TV Box is Right For You?